Sadie is beautiful 11 year old Shih Tzu we recently rescued from a shelter near Toronto. Sadie is friendly and good-natured, happily greeting everyone she meets. She loves to play and will bring you her toys as soon as you come in the door. Sadie is active and enjoys going for walks - almost as much as she loves to cuddle! Sadie does not enjoy long periods of time by herself. She would benefit from a forever home where someone is regularly around. We feel Sadie would be best as the only dog. We learned that she shared her previous home with other dogs but was not fond of sharing her space. Sadie can be vocal on her leash when passing other dogs and her foster mom is currently working on that with her. We feel Sadie would be best in a calm, quiet home (children 10 years +). Sadie weighs 15 pounds and is in good health. She is spayed, microchipped and up to date on her vaccinations. If you feel you can give dear Sadie a loving home please see the adoption information and application on our website (www.adoptadogsavealife.com). Our adoption process includes an online application, a telephone interview, a home visit and a meeting with the dog. An adoption fee of $150.00 applies. Sadie is in a foster home in Toronto. Hello world it's me, Marley, and my buddy Hero, reaching out to find our new, forever home. Iâm 6 years old, and Hero is 7. Iâm red, with green eyes. Heroâs black/white, with brown eyes. I have a crooked smile on the left side of my face; Hero has a crooked smile on the right side of his face! Iâm thin and active (I fly across the yard like a RABBIT!) and Hero is more laid back. I have allergies, Heroâs sound as can be. We love to play together. Hero throws the gauntlet down, and Iâm always IN! We chase each other around; we groom each other; most important, we watch out for each other â all of the time! Our foster mom gets it...Weâre a "bonded pair"! We both love love! Our recall is, ahemâ¦EXCELLENTâ¦We both have fine appetites, tho I have allergies so I have to have special Kangaroo food (smallest kibble) AND, it needs to be soaked! We are both really affectionate - but weâre both a bit hand-shy â¦ Iâm a little bossy and Iâm not afraid to yell at anyone or anything that could be threatening to my human â especially squirrels! Iâm as fast as any squirrel, Iâm proud to say! But mostly, weâre loveys! Heroâs working on losing some weight. Hero has a lot to say: he grunts in his sleep all the time. And we like to sleep with our human! We love to go for walks, we love the sun, and we love to body surf in the grass! I like to body surf my humans; and Hero likes to shadow our humans and play with squeaky toys! Weâre looking for a safe, forever home, with humans that understand the simple joy of being. We are good with other dogs; and weâre cool with cats! We are used to having someone home with us during the day and would not do well alone for long hours. An adult home is best as we are not used to children. Our foster mom is gonna be super sad to see us off to our new life. She says weâre very special boys. Marley and Hero are both neutered, microchipped and up-to-date on vaccinations. Marley weighs 9 pounds and Hero weighs 11 pounds. Please see our website for more information about our adoption information and application (www.adoptadogsavealife.com). Our adoption process includes an adoption application, a telephone interview, a home visit and a meeting with the dogs. An adoption fee of $350.00 applies for both dogs. 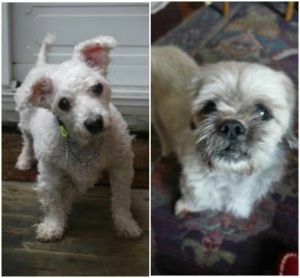 Marley and Hero are in a foster home in Aurora, ON. Sam is a delightful shepherd-hound mix pup who is 7 months old. Sam had a hard start to life - as a wee pup he was passed from home to home and had little attention or training. Sam would love a forever home with a caring family willing to give him plenty of exercise and continue with his training. His foster parents adore him and tell us he is sweet and affectionate. They have seen a lot of progress in Samâs training since he came to their home. Sam will require an active adopter who will give Sam lots of walks and play time. He loves to be outdoors. His foster parents are walking him with a harness and are working on his leash skills. His adopter must be prepared to continue with this training. He is doing well with his house-training but still has the occasional accident. Sam is food motivated which is a bonus for training! He did have some resource guarding when they first took him into their home. 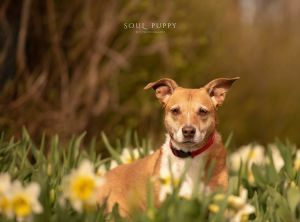 We recommend his adopters work with a positive based trainer to get off to a good start with Sam. Sam is sharing his foster home with another dog. He loves playing with dogs but can at times be a bit too overwhelming for some dogs. He just wants to play and doesnât like to take no for an answer. We recommend a home where Sam will not be left alone for long hours. His foster parents work opposite shifts so he is used to having someone around most of the time. Sam loves riding in the car. We feel Sam is best suited to an adult home with older children (12 years +). Sam is neutered, microchipped and up to date on his vaccinations. He weighs 45 pounds. If you feel you can give Sam a loving forever home please see the adoption information and application on our website (www.adoptadogsavelife.com). Our adoption process includes an online application, a telephone interview, a home visit and a meeting with the dog. An adoption fee of $350.00 applies. Same is in a foster home in Toronto. Brava and Leo are a dear pair of dogs that came to us from a shelter near Toronto. They are seniors that have always been together - we will only consider an adopter that will take both dogs together. Their foster mom only has good things to say about this duo. They are quite lovable! It took some time for them to settle in and feel at home but overall they adjusted well. Leo is the more resilient of the pair. Brava is quieter and needs time to feel confident in a new place. Due to her age, her vision and hearing are impaired. That also makes it more challenging for her to adjust to a new home and routines. Their adopter must be understanding of their age and be accepting of their limitations as senior dogs. Brava is a Bichon who is 15 years old and weighs 7.4 kg (16 pounds). Leo is a Shih Tzu who is 13 years old and weighs 8.8 kg (19 pounds). They are both in good health. Both dogs have had recent dentistry. They are up to date on vaccinations, spayed / neutered and microchipped. They still enjoy going for walks and will romp around the back yard. Brava is best with short walks - Leo can go for longer walks. They are house trained and well-mannered in the home. Their foster mom is home with them during the day. She lets them out on a regular basis. We are seeking a home where they will not be left alone for long hours every day. Both dogs are sweet and affectionate. A calm, quiet home is best suited to Brava and Leo and for that reason we will only consider families with older children (12 years +). Easy access to a back yard is recommended - Brava would not be able to handle a home with lots of stairs. If you feel you can give these two sweeties a loving retirement home please see the adoption information and application on our website (www.adoptadogsavealife.com). Our adoption process includes an online application, a telephone interview, a home visit and a meeting with the dogs. An adoption fee of $200.00 applies (for the pair). Brava and Leo are in a foster home in Toronto. Update on Jonah: We have great news! Jonah will be travelling to Toronto from Thailand on April 23rd. He has a wonderful foster home where he will go once he arrives. We are certain this dear dog will settle in nicely and weâll be sure to update his bio once we learn more about him. Jonah is a gem! He is a dear dog who is very friendly and eagerly greets people. He is sweet, happy and affectionate. 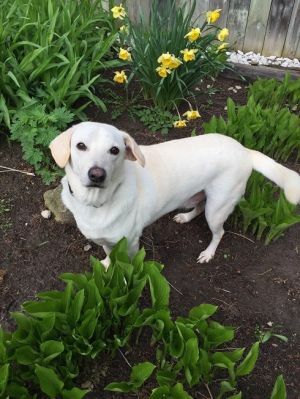 Jonah is 6 years old - he is a petite yellow lab mix and weighs 14kg (30 pounds). He gets along with other dogs. Jonah is currently in Thailand under the care of the Soi Dog Foundation. Our rescue is working in cooperation with Soi Dog to find a loving home for Jonah. The Soi Dog Foundation is a reputable charity that saves hundreds of dogs from the Asian dog meat trade. You can ready more about Soi Dog at www.soidog.org. We are accepting applications for either a foster or forever home for Jonah. Once we secure a foster or forever home for Jonah we will arrange for him to come to Toronto. Jonah is a healthy dog who is neutered, microchipped and up to date on vaccinations. He is heartworm negative and has been dewormed. We have rescued a few other Soi Dogs in the last few few years. We have found these dogs eventually transition well to their new home but need time and patience. While they are confident at the shelter in Thailand they can be quite nervous and unsure once they come to Toronto. The Soi Dogs require fosters or adopters who have some experience with dogs. They do best in a quiet neighbourhood where there is not a lot of traffic noise and crowded sidewalks. A safely fenced back yard is ideal. A foster or adopter who is home for at least some of the day is also preferred. We find they are best in a quiet, calm home without young children. (12 years +). Soi Dogs are often high flight risks - for that reason we will make sure the foster or adopter has a GPS collar and follows the safety protocol recommended by the Soi Dog Foundation. We will work with the foster or adopter to assist in preparing for the arrival of Jonah and setting him up for success. If you are interested in Jonah, please contact us at info@adoptadogsavealife.com or (416) 787-3862. Please see our website for more information about our foster program and adoption process (www.adoptadogsavealife.com). An adoption fee applies. 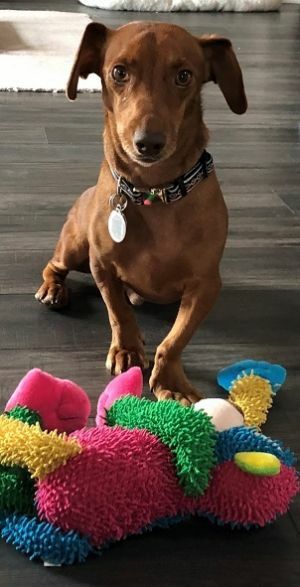 Boss is an adorable 3 year old Dachshund. This little guy was found as a stray and ended up in a rural pound. He was very scared at the pound and we are happy to have him in a loving foster home. 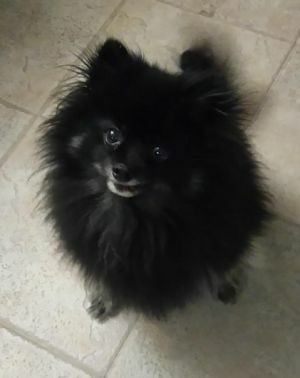 Boss is a very dear little dog who loves playing with his stuffed toys - he will chase them around the house for hours. He loves attention and wants to be with his foster parents. He is a cuddler and is most happy when his head is on your lap. He is initially shy and will bark at new people, but warms up once he gets to know you. When Boss was new to his foster home he was nervous and unsure, but now that he is settled in he is more confident. We feel he has come from a home where he did not get a lot of positive reinforcement. His adopter must be willing to continue to build his confidence and set him up for success. Boss enjoys his walks, but initially would not pee when on leash (he does now) but for that reason, we feel Boss is best suited to an adopter who lives in a house with a safely fenced back yard. We feel Boss is best suited to a calm and quiet adult home. We will only consider adopters with older children (12 years +). Boss should be the only dog in the home. We do not know if he is friendly with cats. Boss is neutered, microchipped and up-to-date on his vaccinations. He weighs 16 pounds. Two of his legs have malformations, but he gets along fine and is not in any pain. No surgery or medication is required at this time. If you feel you can give Boss a safe and loving home, please see the adoption information and application on our website (www.adoptadogsavealife.com). Our adoption process includes an online application, a telephone interview, a home visit and a meeting with the dog. An adoption fee of $350.00 applies. Boss is in a foster home in Whitby ON. Meet Junior! He is a sweet dog. It is hard to believe, but sadly he was left tied to a tree in a park in Toronto, abandoned by his owner, with a note that said â PLEASE LOVE ME. Thankfully, he is now in our care and getting lots of love and care in foster home. Junior is approximately 11 years old, but you would never know it with his activity level. 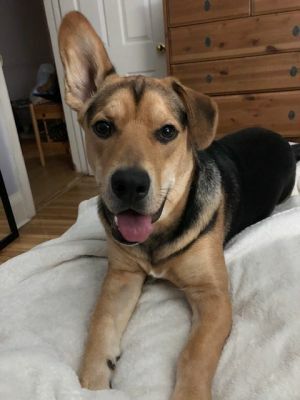 He enjoys playing and chasing the other dogs in his foster home in his well-fenced backyard, as well as going for walks. Junior is a dachshund mix and weighs 20 pounds. He is also friendly with everyone he meets. Junior will require regular exercise in order to keep his handsome figure. His adopter will also have to ensure he is on a good quality food. Junior has had dentistry and his cherry eye repair was a success. We feel Junior is best suited to a calm and quiet home without young children (12 years +). An adopter who is home for at least some of the day is preferred. Junior is neutered, microchipped and up-to-date on his vaccinations. Junior will make wonderful companion. Junior is best suited to an adopter who lives in a house with a safely fenced back yard. No apartment or condo dwellers as he can be vocal with excitement. If you are interested in learning more about Junior's adoption, please see the adoption information and application on our website (www.adoptadogsavealife.com). Our adoption process includes an online application, a telephone interview, a home visit, reference checks and a meeting with the dog. An adoption fee of $300.00 applies. Junior is in a foster home in Lindsay, ON. 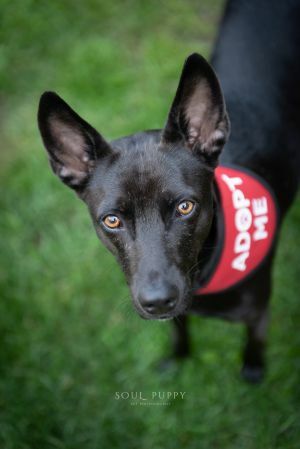 Minnie is a beautiful young dog rescued from the streets of Thailand. She is 1 year and 6 months old. She weighs 28lbs. She arrived from Thailand in January 2019 and is settling in well. She is a healthy young dog who is spayed, microchipped and up-to-date on her vaccinations. She has been dewormed and is heart worm negative. Her foster parents report that Minnie is so sweet and very calm. She is still adjusting to life in Canada and can be a little nervous and unsure of her surroundings when outdoors, but has made so much progress and is doing really great. She is very smart eager to please - she has learned a few commands and tricks already (sit and shake a paw). She absolutely loves being near people and cuddling on the couch - she will snuggle up to you in bed if you let her! She will require come patience while she gets used to all the sights and sounds that are so different from her previous home at the shelter in Thailand. She travels well in the car and is not destructive in the home when left alone. Minnie would do best in a quiet neighbourhood where there is not a lot of traffic noises and crowds on the sidewalk. A safely fenced back yard is ideal, as she loves running around in the backyard at her foster home. She is currently the only dog in the home but we think she would do well with another calm friendly dog. We feel she would do best in a home without young children (12+). Soi Dogs are often high flight risks - for that reason we will make sure her foster or adopter has a GPS collar and follows the safety protocols recommended by the Soi Dog Foundation. We will share this information with potential adopters. If you are interested in Minnie please contact us at (416) 787-3862 or email us at info@adoptadogsavealife.com. Please see our website for more information about our adoption process. An adoption fee will apply. Winnie is a lovely 8 year-old corgi mix in need of a forever home. Winnieâs owner was moving and not able to bring her along. Winnie is a very friendly dog. Her foster mom tells us she is good with people and affectionate - she loves attention and is very social. Winnie is in excellent health and has a ton of energy - she loves long walks and running around. She will do well in a home with an active adopter. Winnie should be the only dog in the home. A house with a fenced yard so she can have time off-leash to run around is required. She loves patrolling the yard to keep you safe from unwelcomed squirrels! Winnie does not like cats. Winnie is well-mannered in the house, but does not like to be left home alone for long stretches of time. Winnie is good in the car. She is not used to children so we will only consider an adult home. Winnie weighs 33 pounds. Her vetting is up-to-date (spayed, vaccinated, microchipped) and she just had her teeth cleaned. If you feel you can give dear Winnie a safe and loving home, please see the adoption information and application on our website (www.adoptadogsavealife.com). Our adoption process includes an online application, a telephone interview, home visit and a meeting with the dog. An adoption fee of $150.00 applies. 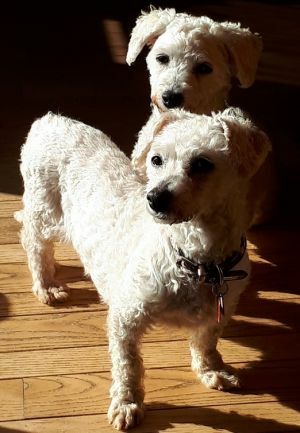 Bella and Rose are two lovely little Bichon Frise. They came to us from a breeder who no long wanted them. We are so happy to be able to give these two wonderful dogs a second chance - they are so deserving. Bella and Rose have a very sweet and gentle disposition despite their previous hardships. Bella is more relaxed and Rose is more curious but timid, and in time will become more confident. They are very bonded and find comfort in each other especially when sleeping on their doggie bed during the day and at night time. We feel it is best they stay together. A patient and loving adopter will be rewarded with two very affectionate and dear dogs. Bella and Rose are best suited to a house with a safely fenced back yard. A quiet neighbourhood would be perfect. They are nervous of loud traffic noises and will freeze when startled. Apartment living would be challenging for them - always having to be on leash without a yard. Having never walked on a leash before they are now becoming more confident, but it is still slow going. They love to explore both inside and outside the home. Their foster family tells us they show small steps forward every day. They are still having accidents in the house, but in time this will subside. They are taken out frequently during the day. They would not do well in a home where they would be left alone for long hours. We feel they would be fine sharing their home with another friendly dog and cat(s). They would be best in a calm, quiet home without young children (12 years +). Bella and Rose are both 8 years old and weigh about 16 pounds. They are both spayed, microchipped and up-to-date on vaccinations. They have both had full mouth extractions due to the poor condition of their teeth. 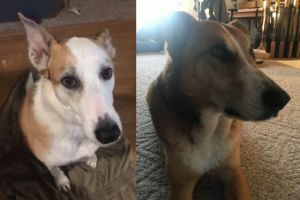 If you feel you can give these two dear dogs a safe and loving home, please see the adoption information and application on our website (www.adoptadogsavealife.com). Our adoption process includes an online application, a telephone interview, a home visit and a meeting with the dogs. The adoption fee is $300 for the pair. They are in a foster home in Lindsay, ON. FOREVER IN FOSTER CARE Layla and Peppy are available for Sponsorship only! Palliative care can be very costly. Compassionate and loving foster parents open their hearts and homes; donating their time, providing nutritious food and socializing/training the dogs in their care. But, without the financial support of donors, none of this would be possible. Dogs like Layla and Peppy require more than love: they require vital veterinary care. 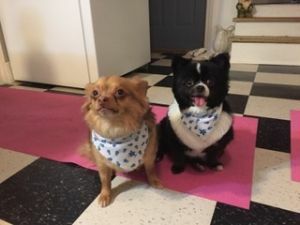 Adopt A Dog/Save A Life, Inc., relies on the generosity of donors to cover the cost of medication and procedures required to keep dogs like Peppy and Layla comfortable during their remaining days. If you would like make a donation in support of Layla and Peppy's care, please let us know! --------------------------- Layla and Peppy are two of the sweetest dogs you will ever meet! They are dear little Pomeranians. Layla is 11 years old and weighs approximately 13 pounds. Peppy is 10 years old and weighs approximately 12 pounds. They are bonded and we will not separate them. They originally came to us because their owner was moving and not able to take them along or care for them properly. They did get adopted but were returned. They are back in one of our very caring foster homes and doing well. Layla and Peppy had several health issues when we first rescued them. Both dogs have had dentistry - they both required full mouth extractions as their teeth were in horrible condition. Peppy had surgery to remove a bladder stone. Layla has a collapsed trachea that sometimes causes her to cough. She often coughs when she gets excited or is picked up. She is on a daily low-dose of steroids to keep her cough under control. Both dogs are up-to-date with their vaccinations and microchipped. Layla and Peppy are very affectionate dogs who love attention. Peppy really lives up to his name and loves to go for walks! Layla is a bit reluctant to walk far distances, but is small enough that you can pick her up when she feels she cannot go any further. She is not able to do stairs and must be carried up and down. They are quiet and enjoy each other's company. Both dogs need to go out for bathroom breaks several times throughout the day. They do let you know when they have to go out. Due to his bladder stone surgery, it is very important that Peppy eats a special diet and has no other food/treats. A dog with a history of bladder stones should be encouraged to drink a lot of water and flush out their kidneys and bladder often. Layla is also on a special mature diet. If you would like more Sponsorship information or to sponsor Layla and Peppy, please send an email to info@adoptadogsavealife.com.